We met a lot of cool people at the CTN Animation Expo. (You probably noticed!) 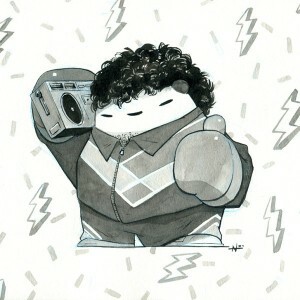 Another one to pay attention to: Randy Bishop, a freelance illustrator and character designer. Of both humans and very stylish furries, it should be noted. Recently Randy decided to get serious about his first self-created project called Monomyth. He imagined a world in which all the myths and legends of every culture live together in our world — and how that tends to complicate life for everyone. Take a look over at Randy’s web site to see more about Monomyth as well as lots of his previous color works and sketches. Mysteries for Kids… with Rodents. Furries have been teaching children to read for generations. Carrying on that tradition is a new series of second-level easy-readers for kids called Hamster Holmes. 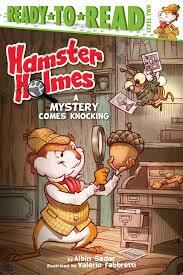 “Hamster Holmes and his firefly sidekick, Dr. Watt, solve mysteries together in this start to a Level 2 Ready-to-Read series! Hamster Holmes and Dr. Watt are the best sleuths in town! So when their friend Corny O’Squirrel has a mystery he needs help solving, he knows just who to turn to. Every night, Corny is woken up by someone knocking on his door—but when he goes to answer, no one is there! Can Hamster Holmes and Dr. Watt catch the culprit?” The series was created by Albin Sadar, who also co-wrote and produced a video for kids called The Chartreuse Goose. It’s illustrated by Valerio Fabbretti, who has illustrated children books and comic books in the US and in Italy. Hamster Holmes: A Mystery Comes Knocking and other books in the series are published by Simon & Schuster — and of course you can find out more at their web site. 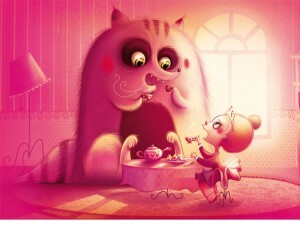 Nolen Lee is another multi-talented artist, often employed in the animation business. He has a specialty though: Pandas. Specifically, pandas wearing boxing gloves. Who seem to have a thing about punching the nearest… whatever! Now Gallery Nucleus is selling Nolen’s portfolio book titled, appropriately enough, Punching Pandas. According to their web site: “Nolen Lee is a freelance animation artist from originally from Portland, Oregon who is now working from Seattle. His art book Punching Pandas is full of ink and digital works of fighting pandas in mischievious situations – often finding their way into a strange franchise or two. The idea may sound adorable, but don’t let these pandas fool you. They’ll punch anything and anyone, even you!” You should also visit Nolen’s web site to find out what other sort of merchandise (t-shirts, prints, etc.) you can decorate with your favorite pugilistic panda. We almost let this pass us by. Betsy Bauer is an illustrator who’s worked in animation for some time (on projects like Cloudy with a Chance of Meatballs 2) as well as illustrated children’s books. But her latest project is… dumb. Or at least she says so. It’s called Super Dumb Coloring Book of Super Dumb Cats, and it’s a collection of dumb superhero puns — with cats. (Look, these are her words, not ours! Honest!) Join Catman, Sailor Mewn, and I-Yarn Man (!) and all the rest — and add some color to their lives. 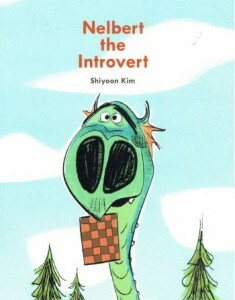 You can find this black & white (obviously) paperback at Amazon, Stuart Ng Books, and Gallery Nucleus. 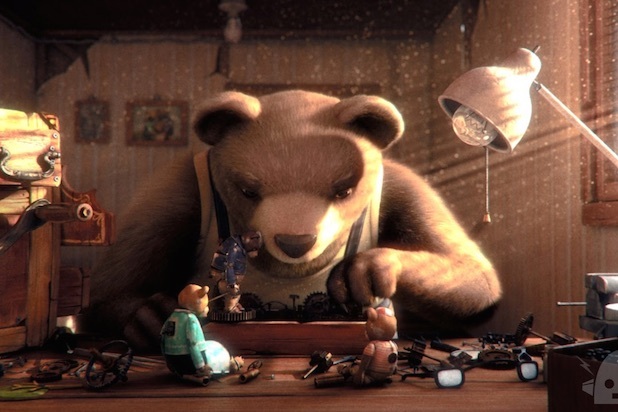 Bear Story is a short CGI animated film by Gabriel Osorio at Punkrobot Studios in 2014. Since then it has won over 50 international awards in the animation festival circuit. According to an article at The Wrap, the film “…is an ingenious, dazzling piece of 3D animation, the sad story of a lonesome bear who builds an elaborate mechanical diorama in an attempt to remember (and perhaps recover) the life he used to live with his wife and son, before he was ripped from his home and sent to a circus. But audiences in Osorio’s native Chile immediately know that it’s more than that — it’s also an allegory for the way families were torn apart during the murderous Pinochet regime in Chile in the 1970s.” Bear Story has been short-listed for an Academy Award for 2015. You can see a short making-of film and a trailer for it over at the Punkrobot web page. 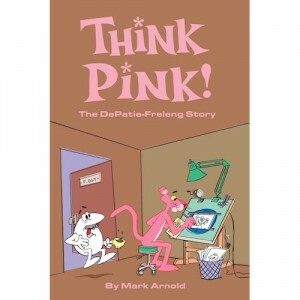 Anyone interested in animation should know about Depatie-Freleng Enterprises, the birthplace and home of one of America’s iconic animated furries, The Pink Panther. Not to mention cartoons like The Ant and the Aardvark, The Cat in the Hat, The Lorax, Doctor Dolittle, The Fantastic Four, Doctor Snuggles, Baggy Pants and The Nitwits, The Barkleys, The Houndcats, The Grump, The Super Six, Super President, Spy Shadow, Hoot Kloot, Blue Racer, Crazylegs Crane, Misterjaw, Tijuana Toads, The Dogfather, The Oddball Couple, and Charlie the Tuna (whew!). Now animation historian Mark Arnold has chronicled the rise of DFE in Think Pink! a new hardcover book of more than 600 pages (!). “In 1963, Warner Bros. closed down their long-running cartoon facility that had produced such memorable merrymakers as the Looney Tunes and Merrie Melodies cartoons. Director/producer Friz Freleng and executive David H. DePatie faced unwanted early retirement. 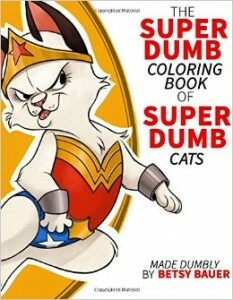 A generous parting gesture from a Warner executive allowed Freleng and DePatie to lease the former Warner cartoons studio on California Street in Burbank, complete with equipment and supplies, for a few dollars each year.” The book is available now — find out more at the Bearmanor Media web site, or just head to Amazon. … and illustrator, whom we met at the CTN Animation Expo. Christina Halstead is a character designer and, yes, animator who has worked freelance on projects for outfits like Toon Boom and games like Beast’s Fury. 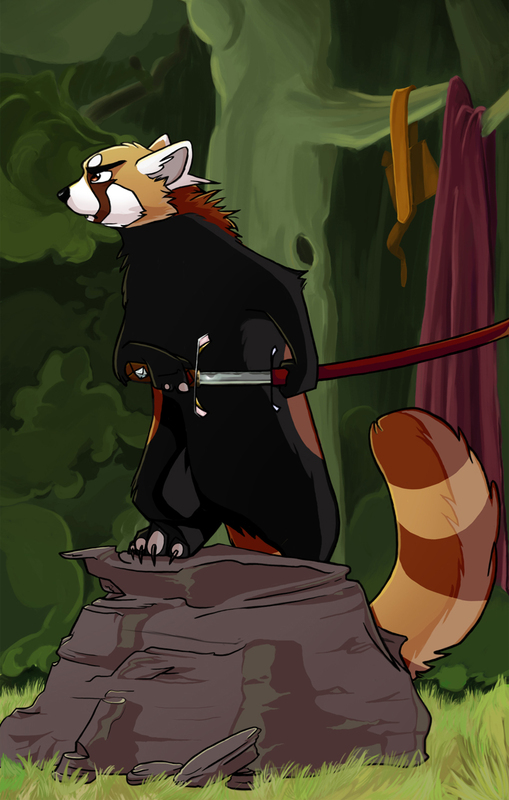 Her personal art web site is called Shadowed Brush Creations — there you can find sketches, character paintings, and even short animation samples from her work.